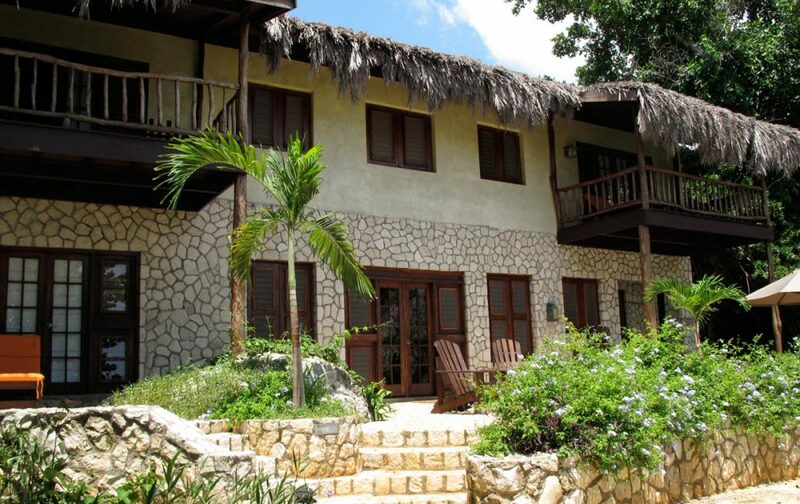 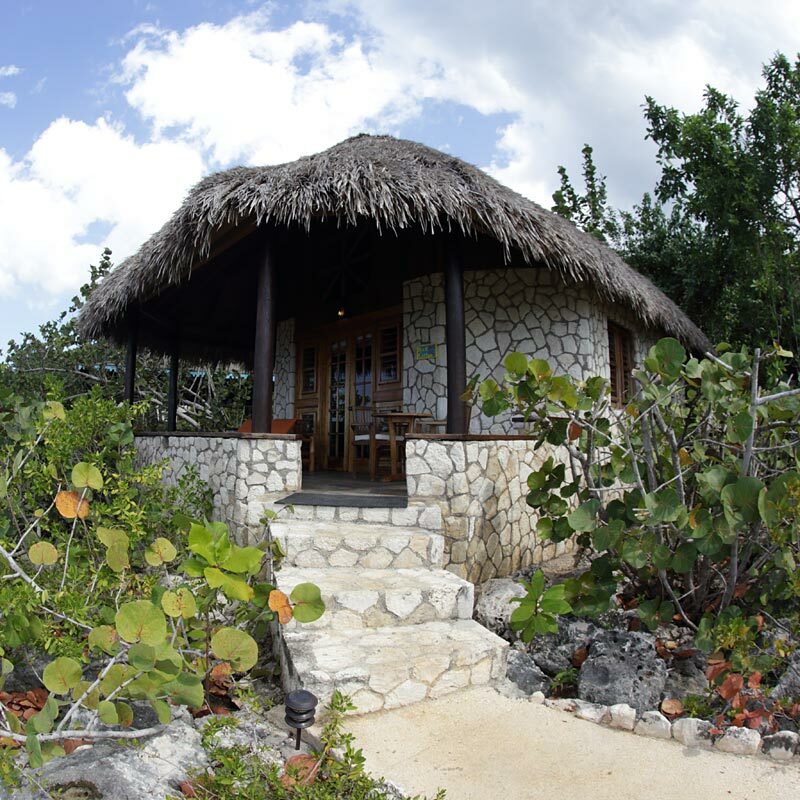 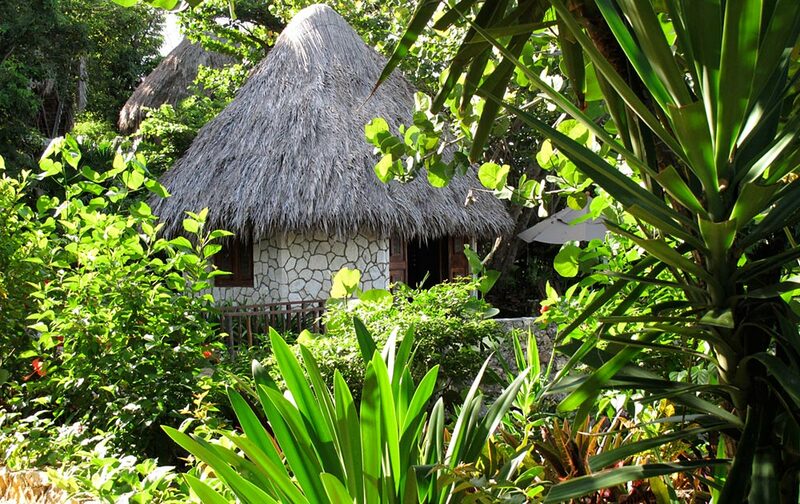 Rock Cottage 1 and Rock Cottage 2 are beautiful secluded cottages, each set atop of the cliffs overlooking the Caribbean Sea. 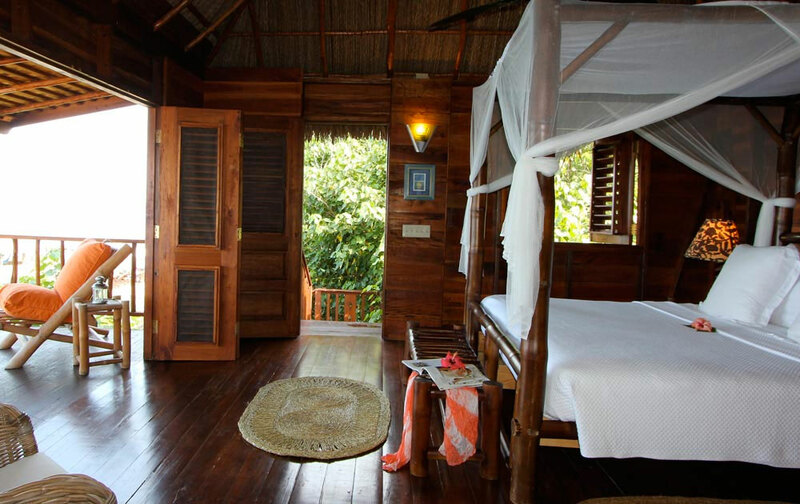 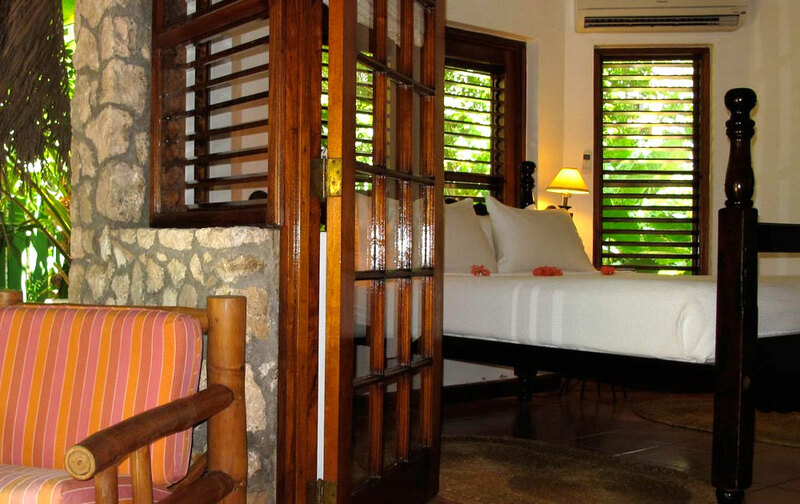 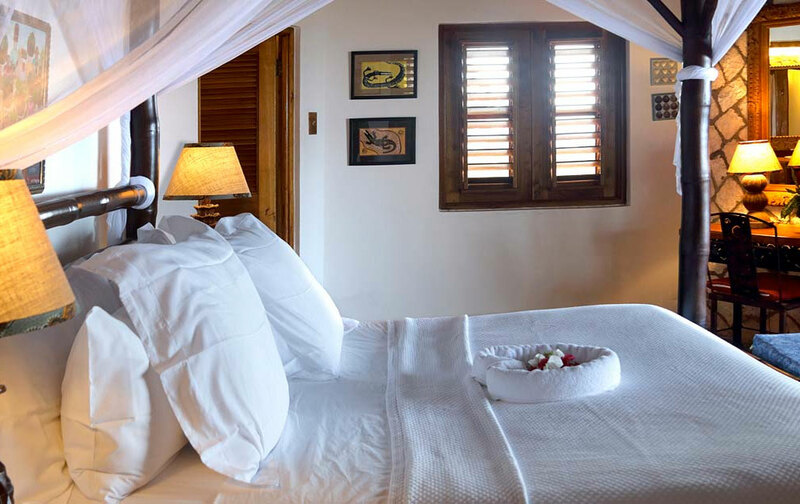 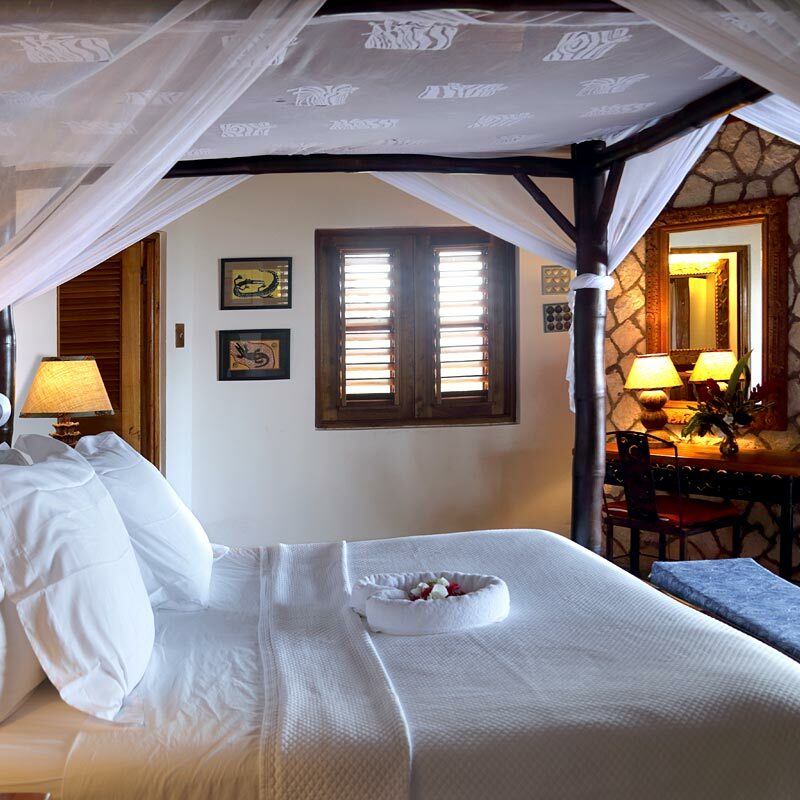 Rock Cottage offers a comfortable queen bamboo bed, and Rock Cottage 2 has a bamboo king bed, both with a white canopy. 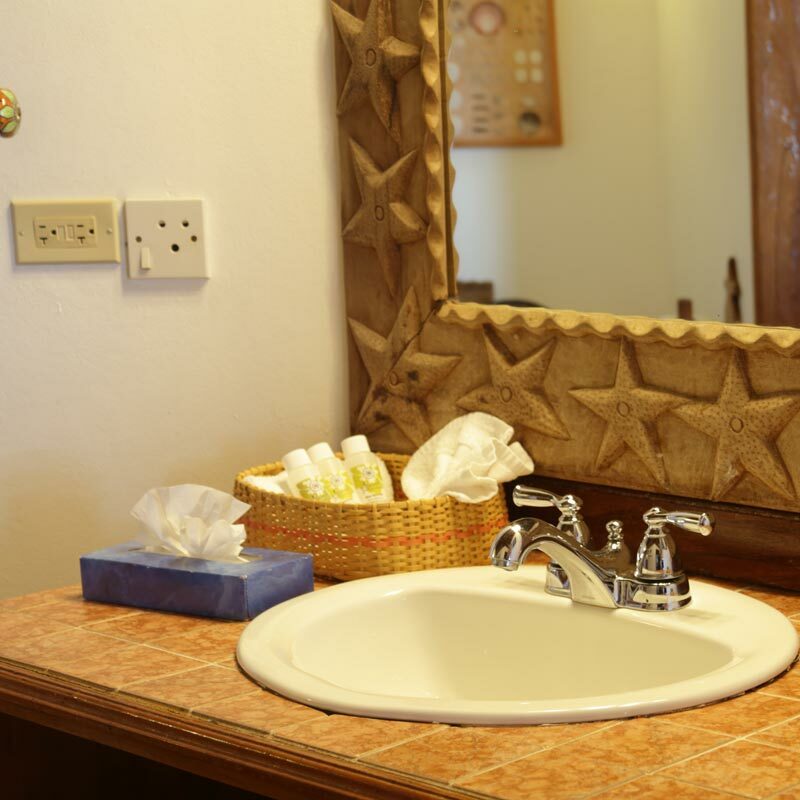 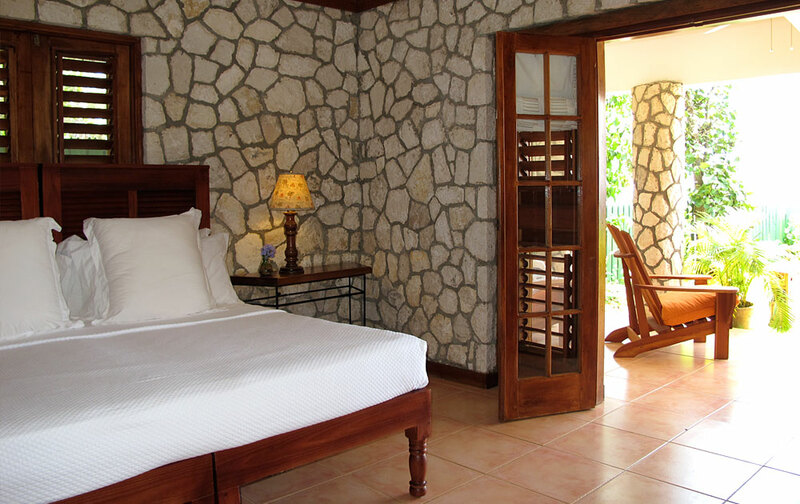 Rock Cottage II at Tensing Pen Resort is a secluded beautifully decorated, cottage set atop of the cliffs overlooking the Caribbean Sea. 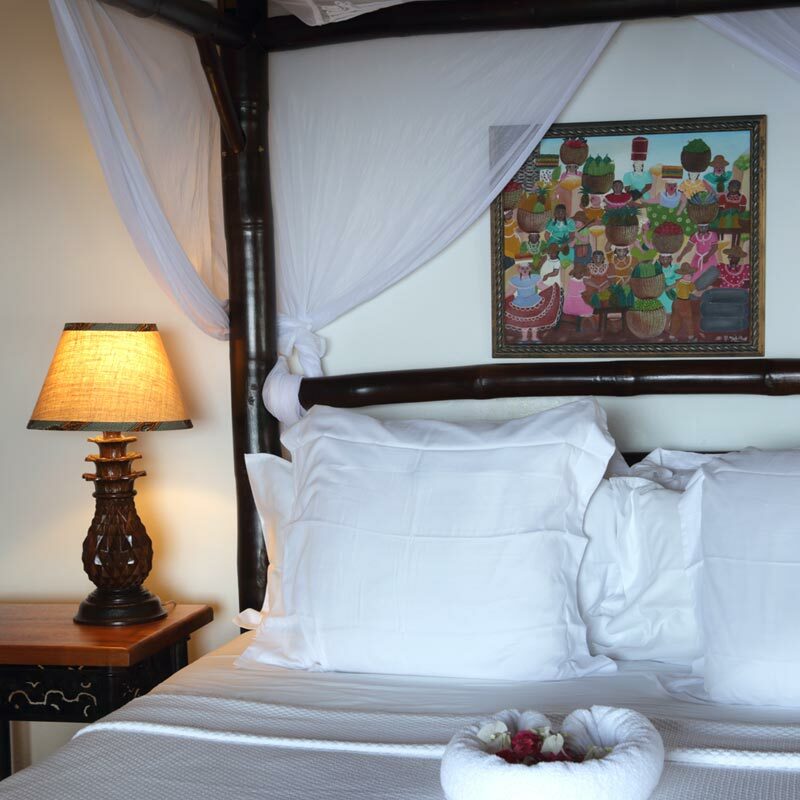 It is appointed with a comfortable four poster king sized bed. 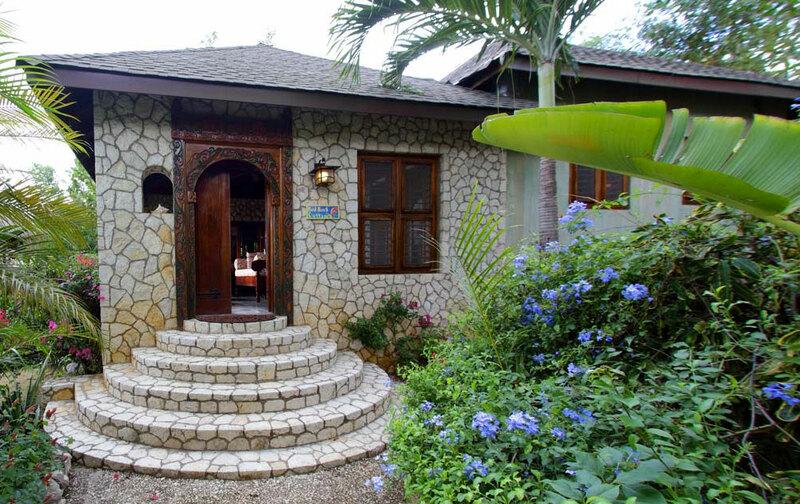 The Cottage has a large verandah which offers the perfect setting for an intimate private dinner.